Deep tissue massage uses firm pressure and slow focused strokes to reach deeper layers of muscle tissue. Deep tissue massage is best for clients with chronic body aches and pain. If you have a stiff neck, shoulder tension, or chronic back pain deep tissue massage can help give you relief. Deep tissue is used to break up scar tissue and to physically break down knots and adhesions. When your muscles are tight you can have a decreased blood flow in the area that can cause pain and inflammation. We hear many times from our clients, “ I want them to get in there.” Therapist will use elbows, forearms, knuckles and thumbs to release the muscle tension. Deep tissue should not hurt as our therapists will communicate level of pressure comfortable for each individual body. Deep tissue massage will help realign tissue fibers. It is used for injury rehabilitation and enhancing range of motion to muscles that feel like they are glued together. The therapists will manipulate muscles to get into the deeper layer of muscle tissue. Knowing human anatomy is imperative for our massage therapists as they work the muscles from insertion point to attachment point to address the full muscle belly. After being in the massage industry for 12 years we have learned from our clients they feel deep tissue massage is more beneficial in relieving arthritis pain, or chronic pain of any kind over physical therapy, prescription medications, chiropractic, or acupuncture. A deep tissue massage releases endorphins which are your bodies own pain killer and immediately help improve range of motion. Breathing deep during a massage will help enhance the benefits. Before you get to your wits end with pain and are looking at surgery, try a deep tissue massage on a regular basis and see the results. You will find RELIEF! You will be surprised at the quality of our deep tissue massage therapists on our team. We have the Best Deep Tissue Massage in Boise. Sports massage therapy is customized for athletes of all kinds. Sports massage will help decrease possible injures, improve performance and decreasing recovery time. Our staff are highly trained in the study of the movement of the human body as well the musculoskeletal system. We have so many clients that come in bikers, golfers, runners, CrossFit athletes, bodybuilders, referees, yogis, skiers, swimmers, as well as clients just wanting to increase their metabolism and enhance their physical bodies through exercise. Our primary trainer of our massage therapists has a Masters in health education, former lifetime sport teacher, former pro athlete in bodybuilding and figure, a former cross country and track coach, and is passionate about helping clients to stay active and physically healthy. At Emerald massage we believe it is about a balance of training and maintaining to have success in any sport or activity. We analyze an athlete’s body when they come to us, we then take the time to educate them about how sports massage can be beneficial to performance. Imagine being able to feel good doing your lifetime sport. If you are going to play hard you have to expect overuse and repetitive motions will stress the muscles and joints. Sports massage can be used as pre- event preparation where therapists get good blood flow in the muscle tissue for optimal use or post event where we flush out the tissue help recover the muscle from fatigue. Sports massage helps promote flexibility, improve endurance, decrease muscle soreness, and increase range of motion. We will target the muscles you are training on a day to day basis. We love to work on middle school, and high school athletes as their bodies are very physically stressed from such short seasons and high impact training. The athlete does not have the time to acclimate to the demand of the sport, setting the student up for injury. Sports massage can minimize the risk of injures prolonging a healthy sport career or season. We encourage athletes to get a minimum of 2 massages a month during their season. Pregnancy is a time in a woman's life in which she should truly listen to her body and be fully focused on taking care of her health. You are now a mother and taking care of your body is the greatest gift you can give the tiny life growing inside of you. Massage is a great way to keep the body healthy during pregnancy. What kind of massage do you need when you’re pregnant? At Emerald Wellness & Bodywork we specialize in prenatal massage. Rest assure our licensed therapists are very confident in prenatal massage. We have a pregnancy body cushion system that allows mom to lay face down. Depending on how many weeks you are and the woman's preference we use additional body pillows to sideline mom to make her comfortable always. The cushion has a patented design that provides ultimate support for pregnancy. As a precaution, we encourage our clients to consult their doctor prior to getting massage. Many gynecologists refer their patients to us on a regular basis. We have many therapists that are moms as well and can empathize with our pregnant clients. Why might my hips and back hurt during pregnancy? When you’re expecting a baby your body changes daily as well as minute to minute at times. Your emotions run on edge as well as you are adjusting to the changes you are feeling in your body. When you are pregnant a hormone you should be familiar with is RELAXIN. A mom needs to think of that word just like it implies relaxin, relaxes the body's muscles, joints, and ligaments. This hormone can cause joint discomfort, heartburn and aching hips as relaxin gets flowing it allows your hips to loosen causing all the muscles around to get upset. If your walk starts to get a little wobbly, it's not just a shifted center of gravity from your belly, but relaxin's fault again. Limber joints, particularly in the pelvis and lower back, are unsteady joints. Everything will be a bit looser and unstable during pregnancy, which means your balance and gait is thrown off. Therefore, a prenatal massage can be a great relief and much needed by mom. We have heard from our clients the baby likes to kick a lot as they get excited with the added blood flow mom is getting. How is Prenatal Massage different from a regular massage? A certified and licensed prenatal specialist is knowledgeable on the adjustments that need to be made for mom from trimester to trimester. They are highly trained on the contraindications of prenatal massage. There are comfort adjustments made during the session as well as from appointment to appointment. Our goal is to get excellent blood flow all around the body as well as help get the tension out of the tissue. Preparing for childbirth is similar to preparing for a marathon. One must keep those muscles healthy and ready for labor. Reduce swelling. Special manipulation techniques can be used to stimulate soft tissues to reduce swelling. Swelling is often caused by the fact that the heavy uterus can reduce circulation and increase pressure on major blood vessels, notes the American Pregnancy Association based on research published in the Journal of Psychosomatic Obstetrics and Gynecology. Relieve sciatic nerve pain. Sciatica is a common complication during pregnancy because the uterus rests on the pelvic floor and lower back muscles. The pressure radiates pain through the sciatic nerve into leg muscles, in turn causing those muscles to swell and put pressure on nearby nerves. Massage therapy can reduce inflammation in the nerves by helping to release the tension on nearby muscles. Balance hormone levels. Recent studies have shown that massage during pregnancy significantly improved regulation of the hormones norepinephrine, cortisol and serotonin — hormones associated with stress, relaxation and mood. These improvements can help expectant mothers balance out mood swings and reduce the risk of low birth weight or complications with delivery, reports the APA based on an article on massage therapy effects on pregnant women suffering with depression, in the Journal of Psychosomatic Obstetrics and Gynecology. We will ask you how many weeks you are to ensure the right kind of massage for you and your baby. Let us know when you come in that day if you would like the pregnancy body cushion or you would like pregnancy body pillows. If you are unaware, you and your massage therapist will discuss what is best for you that day. We know the baby will move during the session and we want to modify and adjust to your needs at every moment during the session. Inform your therapist of any particular troubles, concerns, aches … Point out where you’re feeling pain or discomfort, when it tends to be at its worst, and what activities seem to aggravate it or cause it to flare up. Be specific. “Feels like” comparisons are helpful here does it feel like a needle in your back every evening, or a dull ache in your hip when you try to bend? Swedish massage is a recommended prenatal massage method because it is effective at relieving many discomforts Swedish massage aims to relax muscle tension and improve lymphatic and blood circulation. Be sure to consult your doctor first about whether a massage is suitable for your condition. This is the best thing a mom can do for her own sanity and health. A good mom will need to take a “TIME OUT” to find herself again. This massage focuses on toning a new mother’s body and reducing fluid retention from pregnancy. There are so many changes at home that become huge stressors. Remember when your body is stressed your immunity levels drop cortisol (stress hormone) is high in the body. Massage will help to flush this out of your system. We have a cushion in which a breast-feeding mom can feel very safe to let if she needs to. The cushion allows great comfort when laying face down. Your body is adjusting back to normal and massage will help to speed up the process. SLEEP is like that unicorn something only the fairies see. Massage will help you balance a better sleep pattern. A new mom will hold her body differently while breastfeeding, holding a baby all day, or carrying that heavy diaper bag or car seat. Your muscles will crave a renewal from all the tension build up. Massage will make you a better mom. At Emerald Wellness and Bodywork Cupping can be thought of as the inverse of massage. The suction of “Silicone cupping” uses light, gliding vacuum pressure to pull skin, tissue, and muscles upward rather than applying pressure to the tissue. Cupping involves placing silicone cups on the skin, which creates a vacuum by suctioning out the air. The underlying tissue is slightly lifted into the silicone cup, enhancing circulation, lymphatic drainage, and fascia release. Cupping helps relieve pain and pulls out toxins from the body tissues. It can help clients recovering from colds, flu, coughs, back and muscle pain, poor circulation, and anxiety. The therapist uses organic jojoba oil on your skin. The cups are slowly glided over the area being treated, this creates a great since of relaxation for most of our clients. Each treatment is different as sometimes the cups are left in place for 5 to 15 minutes if the client needs this kind of cupping technique. The therapist will massage the body while the cups work their magic. A common area to be cupped is the back, although cups work well on most areas of the body. The client may feel a tight sensation in the area of the cup. Often, this sensation is relaxing and soothing. The treatment does not hurt as the therapist will communicate with the client to ensure comfort. Where there’s stagnation, there will be pain. Remove the stagnation, and you remove the pain from the body. Cupping is one of the best deep-tissue therapies available. It is believed to affect tissues up to four inches deep from the external skin. Toxins can be released, blockages can be cleared, and veins and arteries can be refreshed. Even hands, wrists (carpel tunnel), legs, and ankles can be cupped, thus applying the healing to specific organs of relation. It is excellent for extreme foot pain from plater fasciitis. Athlete’s can unlock persistent bound up muscle tissue especially weight trainers and bodybuilders. Cupping massage is great for runners with IT band issues. Cupping can help clear lungs and can clear congestion from a common cold or help to minimize asthma. Respiratory conditions are one of the most common issue that cupping is used to relieve. Cupping’s detoxifying effect on skin and circulatory system is also significant, with a visible improvement in skin color after three to five treatments. Cupping removes toxins and improves blood flow through the veins and arteries. What is the Most Common Misunderstanding about Cupping Marks? Depending on the patient and level of cupping there may be no marks at all especially if the suction is very light. Cupping however can causes the skin to temporarily turn red, blue or purple, especially if there is a blockage under the area that was cupped. The skin discoloration can last anywhere from a few days to a couple of weeks. When a person is injured for any reason deep in their muscles bleeding will occur which causes deep bruising in the muscle. Injuries cause swelling and will cause a coagulation of sticky proteins in the body. When these things happen, stagnation of circulation happens in the inured area, this results in pain, loss of range of motion, and dysfunction of the tissue/muscle. When the area is cupped it will draw out old stagnate blood as well as the sticky proteins by bringing them to the surface away from the injury allowing fresh blood to regenerate the tissue. The fresh blood rushes in with oxygen, living cells and nutrients to heal the tissue. When that stagnate blood, lymph, cellular debris and toxins are moved to the surface they become visual. They are no longer trapped in the deeper layer of muscle. This is a very detoxifying therapy. We might think, “oh this is damage to my tissue… look at these bruises from cupping,” and that is where we as a western nation are mislead and uneducated. If you take the time to educate yourself on what exactly are the marks from and your experience you will reap the benefits. Each person is so unique on what may happen to their skin color. Marks are highly dependent on previous injury level, athletic overuse/repetition of muscles, scar tissue, as well as level of activity. If a person sweats a lot or exercise a lot they may not get marks at all. If a person as been exposed to a lot of toxins from environmental factors or medications one might see more markings. The old Chinese think pain originates from the congestion, stagnation, and blockage of Qi, or vital energy, vital fluids, lymph, phlegm, and blood. If pain is the essence of disease, then suffering is a result of obstructed or irregular flow in the body. Chinese believe cupping is therefore a method of breaking up the blockage to restore the body’s natural flow of energy. CBD Massage is Revolutionary Pain Relief for the body. Cannabidiol (CBD) is one of the most prevalent chemical compounds in the hemp plant. It is also known as being the most beneficial, medicinal and non-narcotic biochemical. It is not something to be afraid of it is yet an ancient healing method to be understood. 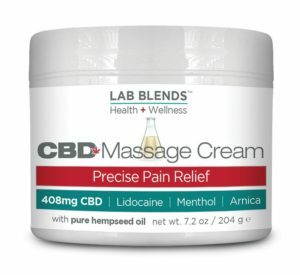 What are the benefits of CBD MASSAGE? When incorporated into a Massage, the treatment results can be more intense and provide a deeper relaxation. The scientific benefits continue to be discovered and CBD Oils are suspected to be anti-spasmodic, anti-inflammatory, and having numerous physical and mental benefits. CBD oil may enhances your massage experience by helping to eliminate pain while calming your mind without psychoactive side effects. Health and wellness professionals throughout the US report extraordinary effectiveness with CBD ointments and creams. CBD may help relieve pains from rheumatoid arthritis, fibromyalgia, back and shoulder pain, neuropathy, and other types of acute and chronic pain. What Emerald Wellness & Bodywork uses is CBD balm/cream. Lab Blends are professional scientifically proven topical analgesics that are the first and only non-prescription ointment and cream that combines FDA-approved active ingredients and ground-breaking pure Cannabidiol CBD Hemp Extract (CBD). Our Professional CBD Massage Balm/Creme combines 660 mg of Hemp-Derived CBD with active ingredients and powerful pain fighters for complete pain management. CBD hemp oil, is known for the support it provides in reducing pain and inflammation and decreasing pain signaling to the brain. The products we use are enriched with Hempseed Oil, Arnica Extract, Menthol, and Lidocaine, this thick, rich balm gives our client an experience they will not forget as it helps significantly in reliving the client of chronic pain. THC Free, non-psychoactive. CBD has a pain-relieving and anti-inflammatory effect on the body once it connects with the bodies own CBD receptors. It is not mind altering nor habit forming yet for some it is life changing. Imagine not feeling that ache or throb as your therapist releases all the muscles around the chronic pain site and adds CBD balm. Pure Hempseed Oil contains benefits often missing from other oils. Rich in essential fatty acids and over a dozen vitamins and minerals, its anti-inflammatory properties dramatically decreases skin dryness to alleviate itching and reduce irritation. Your skin is your largest organ. WHAT IS HIMALAYAN HOT STONE MASSAGE? Himalayan Hot Stone Massage integrates Eastern medicine, relaxation massage, heat therapy and salt therapies. The Himalayan salt stones may benefit the body by stimulating circulation, reducing inflammation, calming and balancing the nervous system and soothing sore muscles. Himalayan salt has 84 organic trace minerals, and depending on how it's applied, those minerals absorb into the skin helping to balance the body's natural PH. Emerald Wellness & Bodywork uses pure organic jojoba oil with the stones which will hydrate your skin. The second you feel the stones go down your back you will feel a sense that the weight of the world is gone. The therapist will hold the stones in their hands as tools while massaging the tension out. The stones may also be used intermitting as the client desires. The stones heat will help speed up the healing process of the massage allowing the therapist to get into the deeper layers of muscle tissue quicker. The heat sensation all over the body feels amazing, melting stress right out making every minute worth it. This ultimate relaxation massage will increase your sense of well being as well has help flush toxins out of your body. The therapist can provide any kind of pressure you would like during this treatment. It is a great massage for those that cannot seem to relax at all. Each stone was put on this earth for a purpose. Stones make most humans feel very grounded. Negative ions are emitted when heated creating a sense of peace and deeper sense of relaxation, higher mental alertness, as well as they protection against germs in the air. The heat of the salt may melt restrictive fascia to go deeper into the muscles and loosens the joints. Leaves the skin feeling refreshed and glowing. The salt stones moisturize and plump up the superficial layers of the skin as the organic pure jojoba oil hydrates. Can ground and balance meridian levels, and chakras. Clear your prana (life force) and energy. 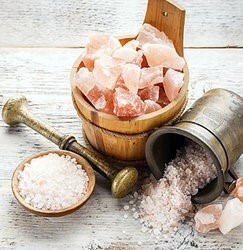 A Himalayan Salt Stone Massage can also zero out the body’s electromagnetic field. Electronic devices such as phones and computers can disrupt natural energy flow within the body. The stone’s neutral structure and natural resonant frequency help to realign energy pathways and restore balance to the central nervous system. Structural Integration is a long-term correction of pain and postural patterns. It is a type of bodywork that focuses on the connective tissue, or fascia, of the human body. This therapy is slow and methodical as client must connect mind and body to help the tissue release. Your therapist will work to lengthen and reposition the patterns of your fascia tissue. Breathing and focusing on the tissue the therapist is working on will help the body let go. A sheath of fascia surrounds muscles, groups of muscles, blood vessels, organs, and nerves, binding some structures together while permitting others to slide smoothly over each other. Over time, the body tissues will shorten and tighten to accommodate stresses, creating stiffness, pain, fatigue and lack of well being. The connective tissue, fascia is meant to be elastic and move freely with muscles and bones. Unfortunately, injury, stress, work-related repetitive movements and the effects of aging can cause fascia to lose its elasticity and become shorter and tighter everyday building up over time. 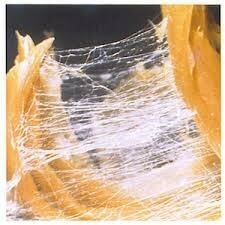 Sometimes we get caught up on life and don’t exercise and stretch like we should allowing fascia to bind up. Tightened fascia pulls our muscles and skeleton out of proper alignment and posture, which can cause pain, discomfort, and fatigue. This is usually when and injury can occur when the fascia is too tight. 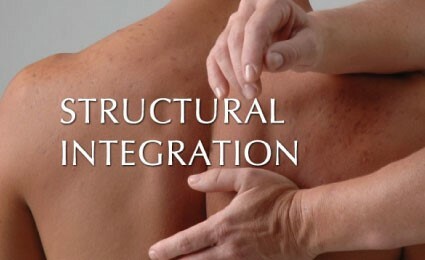 Structural Integration works to lengthen, stretch, and soften this tissue to restore postural balance, range of motion, and a feeling of being more comfortable with your body. It is designed to restore postural balance by aligning and integrating the body in gravity. Structural Integration can to affect the person as a whole, emotionally, physically and energetically, by way of altering the physical body. Our emotions and behavior patterns for instance, are often related to our physical health. If you feel good you do good. As the body becomes balanced, the structure comes into greater alignment, aspects of the self may also become more in tune. A Structural Integration session may help release an individual's potential, promoting positive change, lowering anxiety, improving sleep, increasing confidence, and balancing emotions. A gentle blend of stretching and massage, myofascial release therapy uses hands-on manipulation of the entire body to promote healing and relieve pain. Just as its name suggests--myofascial comes from the Latin "myo" for muscle and "fascia" for band—massage therapists use the technique to ease pressure in the fibrous bands of connective tissue, or fascia, that encase muscles throughout the body. Sheaths of this dense and elastic connective tissue weave about blood vessels, bones, and nerves as well, forming an intricate, 3-D web that supports your organs and joints from head to toe and acts as the body's shock absorber. This network of soft tissue is what holds everything together and allows us to maintain posture, control body position, and move in harmony with our musculoskeletal system. Another major role of fascia is to protect our muscles, organs, nerves, blood vessels, bones, tendons, ligaments and cartilage from shock or trauma. Fascia tends to adhere to adjacent areas when we don’t switch up our movement patterns enough or when we spend too much time in certain postures. For example, if you sit at a computer all day 40+hours a week, your shoulders hunched forward, the fascia not just in the shoulder region, but also in the surrounding areas will tighten and weaken some of its functional properties. Tight fascia causes pain, discomfort, muscle soreness, poor blood flow, decreased nerve conduction efficiency, lack of flexibility, and reduced joint range of motion. Why Should I Get Myofascial Release Therapy? According to practitioners of myofascial release, scarring or injury to this network of connective tissue is a major cause of pain and impeded motion. The therapy's easy stretches aim to alleviate these problems by breaking up, or "releasing," constrictions or snags in the fascia. Myofascial release therapy is based on the idea that poor posture, physical injury, illness, and emotional stress can throw the body out of alignment and cause its intricate web of fascia to become taut and constricted. Fascia link every organ and tissue in the body with every other part, massage therapists can free up, or "release," disruptions in this fascial network. Pressure on the bones, muscles, joints, and nerves is relieved in the process, and balance is restored. Fatigue: Cancer is exhausting, massage will help circulate your blood encouraging rich nutrient filled blood into the muscle tissue. SHOULD I GET AN ONCOLOGY MASSAGE? Why Just Focus on The Feet? At Emerald Wellness & Bodywork we believe your entire structure and be changed from just releasing the tension in the feet in calves. Our feet and legs are often neglected body parts. A foot massage increases the circulation in your feet and helps your blood and lymph systems carry away toxins. The very process of a foot massage sends messages to the rest of your body to relax. Your foot helps to absorb the various pressures caused by standing, walking, and running. Your foot's nerves also help to protect your body from harmful impacts. Massaging the feet also targets the rest of the body at the same time. Many times, when people get a massage they only get 10 minutes on the feet. Oh yes, your feet feel short changed! A client will be very surprised to see how their entire body feels after an hour, 90 min or even a 2 hour on the feet and calves. A foot massage feels good not only because you’ll feel your muscles relax, but the massage increases the release of hormones in your body that create relaxation and a sense of calm, and decrease the release of hormones that keep you tense and stressed. The Client will have their feet wrapped in hot towels to help circulate the blood for release of the tissue. The therapist will calm the body by working the scalp first if he client wishes. The therapist will do focused foot work on each calves and foot. The client dictates the amount of pressure they need or desire. The therapist will discuss with the client where they feel pain in their feet as well what part of the foot the client tends to walk on. Structural issues/ former injuries will be assessed in the intake. Planter fasciitis patients can have their quality of life change significantly with regular foot massage treatments. The client may add Himalayan hot stones, Basalt hot stones or Himalayan salt scrub with organic essential oil to any treatment. These enhancements will increase the relaxation of the body. DID YOU KNOW THIS ABOUT YOUR FEET? Feet are complex, with 1/4 of the bones in your body located there (26 bones, 33 joints, and more than 100 muscles, tendons & ligaments). Scientists estimate there are almost 8,000 nerves located in your foot. Your foot also contains a high concentration of nerve endings very close to the skin, which are called Meissner's corpuscles. Therefore, your feet might feel ticklish or sensitive. Did you ever think you might not like your fee touched because you hide emotions in them? Holding on to these emotions can cause physical damage to your health. A foot massage can be an easy way of not needing to talk it out… simply work it out. WHAT YOUR FEET REVEAL ABOUT HOW YOU FEEL. Women tend to have 4 times more foot problems because women like high heals. Many people are walking around in shoes that are not sized right. Shoes can be the main cause of foot pain. Speaking of walking, it is the best exercise for your feet. The average person will walk around 115,000 miles in a lifetime. That’s about 8-10,000 steps a day. Thanks to fit monitors a lot of research as been done on steps. It’s no wonder that 75% of Americans will experience foot problems at least once in their life. According to a 2010 study published in the Journal of Clinical Nursing, receiving soothing foot massages during a stressful time, such as after the death of a loved one, can help you deal with the stressful grieving period. Foot massage provides consolation, helping people to balance the need to grieve and adapt to changes in life. An aromatherapy massage combines essential oils with the soothing touch to any style of massage therapy. Aromatherapy is the use of essential oils from plants for healing. Although the word makes it sound as if the oils are only inhaled, they can also be massaged into the skin. Many sense of smell experiences are souvenirs of the past, taken from distant places, journeys and life experiences. Think about your favorite smell where does it take you? When you get an aromatherapy massage you making an impression of relaxation and happiness in your mind creating all kinds of scientifically proven health enhancements. 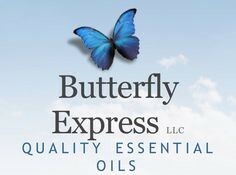 At Emerald Wellness and Bodywork you will choose your choice of essential oils from our pure organic line. The oil will then be added to organic carrier oil/lotion best suited for your skin. You will leave with a small bottle of the lotion. 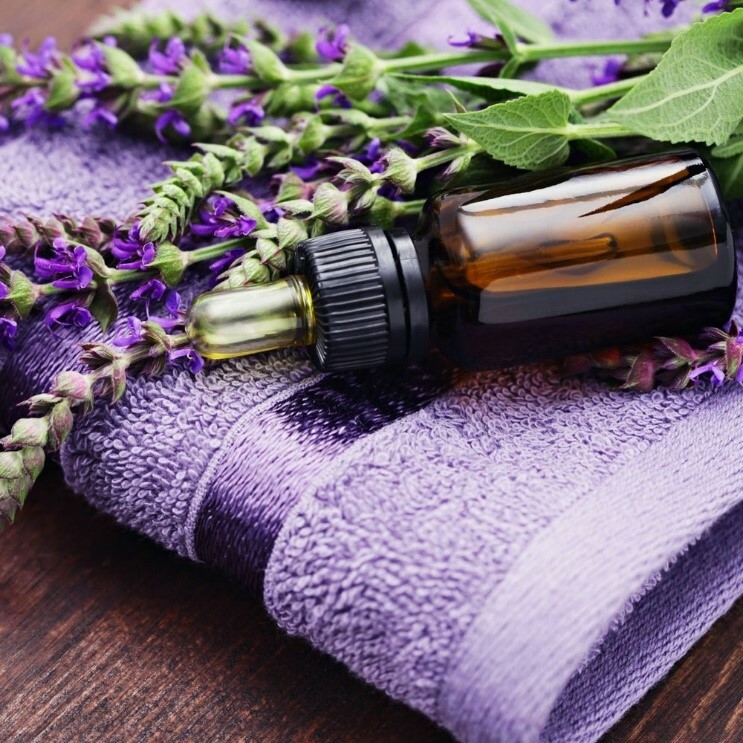 Essential oils are highly concentrated volatile substances extracted from essences extracted from plants, flowers, trees, fruit, bark, grasses, and seeds with distinctive therapeutic psychological and physiological properties which improve and prevent illness. Essential oils are usually captured by steam distillation, a process whose origins can be traced back to ancient Mesopotamia. "Scents can have positive effects on mood, stress reduction, sleep enhancement, self-confidence, and physical and cognitive performance", says Theresa Molnar, executive director of the Sense of Smell Institute, the research and educational arm of the perfume industry's Fragrance Foundation. By becoming more aware of the way specific odors affect you personally, you may be able to enhance your health and well-being. Kinesiology tape is a thin, stretchy, elastic cotton strip with a laytex free adhesive. The tape was invented by Japanese chiropractor Kenzo Kase in the 1970s. Therapeutic kinesiology tape can benefit a wide variety of musculoskeletal and sports injuries, plus inflammatory conditions. Kinesiology tape is almost identical to human skin in both thickness and elasticity, which allows kinesio tape to be worn without binding, constricting or restriction of your movement. K-Tape has unique elastic properties that allows the kinesiology tape to provide support when applied. The K-Tape provides almost a second skin that protects your joints and muscles. Kinesiology tape can be worn during intense exercise, in the shower or even swimming. K-Tape is best applied by a trained professional. WHAT IS K-TAPING USED FOR? Kinesiology tape is used for treating injuries and a variety of physical disorders. For the first decade after its introduction, practitioners in Japan were the main users of the therapeutic kinesiology tape. By 1988 the tape had been adopted by Japanese Olympic and professional athletes before spreading to the US in the 90’s. You probably saw K tape on many Olympic athletes. They know the value of their bodies and will use all-natural methods possible to assist in performance. Your body is important to your athletic career so take care of it. You do not need to be an athlete to get K-Taped it is beneficial to everyone. 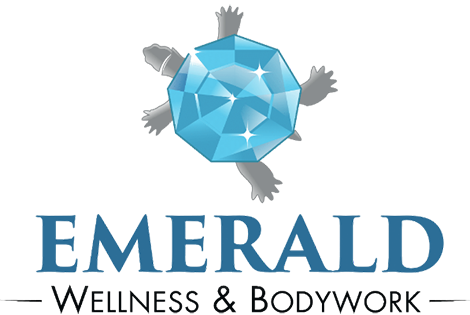 Emerald Wellness and Bodywork can be a great asset to your career. Kinesio tape can be used before a sporting event. We tape a lot of athletes prior to their event. Most athletes tend to know if they have ankles that roll easy or knee patellar tracking issues or many other concerns. Muscle imbalances can be assisted with the tape. 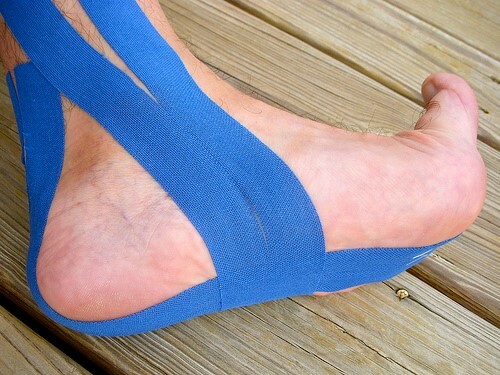 Kinesio tape can be put on the affected area to prevent injuries. Using Kinesio tape before an event can save the athlete from future surgeries or afflictions. Rehabilitation of Injuries or Overuse Athletes are in a constant phase of rehabbing muscles. Athletes may experience their bodies feeling exhausted or broken from repetitive training. 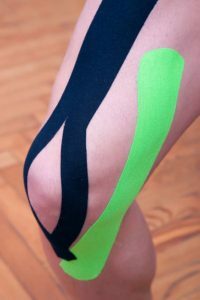 If you have knee pain many times a client can feel significant relief by allowing the K-tape to give the muscles a “mini movable cast” allowing the muscles to take a break and be supported. Manual manipulation through massage is important to rehabilitation. Using Kinesio tape after a massage session can increase efficacy of your massage treatment more so than without Kinesio tape. The tape can help open fascial tissue to help the therapist get into the tissue easier. The tape will help by providing a continuous amount of stabilization to the affected area and gives muscles and ligaments a chance to rebuild and restore by taking the pressure off those areas that have been massaged. Alignment of Spine, Knees and Overall Posture The Kinesio taping method also helps with alignment of the structure. If you have a tendency to slouch or have an area of the body that is not properly aligned Kinesio tape can bring the body back into alignment. The tape will help the client sense how proper alignment feels in the body. Having correct alignment can decrease pain and help the joints recover from activities. The body will take a break from fighting gravity. • For Pain Kinesio tape also decreases pain in certain areas of the body. 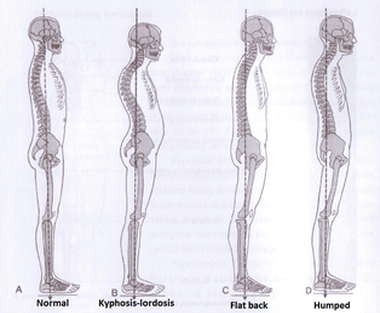 Most clients tend to low back pain from sitting too long, poor posture, or overuse. After a massage, Kinesio tape can be placed on the affected area (using a different method or style of taping depending on the area) to decrease pain and discomfort. If there is bruising or swelling, there is a taping method that helps drain fluids into the lymphatic ducts to decrease swelling and help rid the body of bruising. Reflexology was developed in the United States in the early 1900’s. It is a therapeutic session where the massage therapist works on reflex points on your feet, hands, and ears that can relate to specific organs and glands in the body. This is not a foot focused treatment. Stimulating reflex points with pressure promotes health in those organs and glands via the body's energetic pathways. Reflexology promotes ultimate relaxation as well as it can jump start the organs and remind them of their duties to the body. 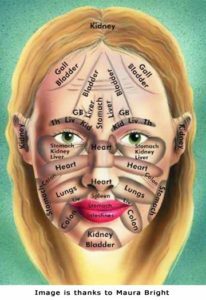 Reflexology is sometimes referred to as zone therapy, this bodywork involves application of pressure to these reflex zones to stimulate body organs and relieve areas of congestion regarding the flow of energy or stagnation. Reflexology works with the bodies energy flow to stimulate self-healing and maintain balance in physical function. Reflexology can be a good treatment choice for people who want an alternative to traditional massage. Reflexology treatments can be done with a patient fully clothed. Stress-related illness and emotional disorders. Reflexology is also convenient in cases where an area of the body is traumatized by injury or diseased to the extent that direct manipulation is not appropriate due to contraindication. EASE CANCER SIDE EFFECTS such as those from chemotherapy. It helps cancer patients get a sound sleep by reducing anxiety. Chemo may cause indigestion issues as well as nausea. Reflexology may help subside effects. The more general effects of reflexology, such as clearing neural channels and increasing circulation, may also help to slow the spread of cancer and can stimulate antioxidant activity to boost your immune system to destroy cancer cells as well as help to prevent sickness. Chi Nei Tsang, simply means, internal organ massage. Gentle gliding massage techniques allow access to both the physical organs and their energetic components to help move stagnant Chi, release adhesions, and align, calibrate, and optimize organ function. Our abdominal organs are responsible for digestion and assimilation of not only food, but also emotions and life experiences. In today's culture, many people regularly experience stress, negative emotions, tensions, the weight of past illnesses, childhood trauma, PTSD, injuries, and “overdrive” fight or flight experiences. 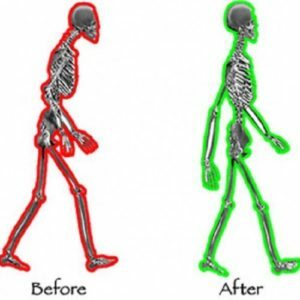 We sit a lot at our jobs and lack exercise causing the core muscles to weaken, shorten and tighten wreaking havoc on our justify resulting in poor posture. The energies of these experiences accumulate in the abdominal justify, causing energy blockages. 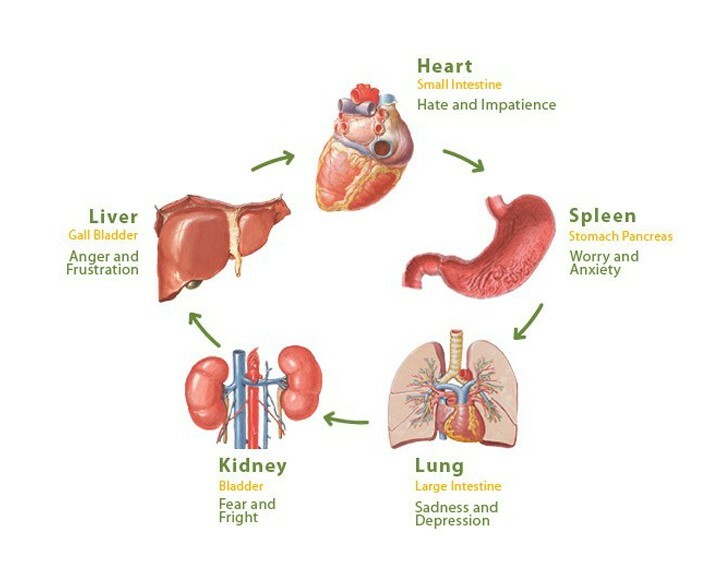 As a result, vital organ functions can stagnate and lead to problems throughout the body creating a vicious cycle. People end up having stomach pain and lack of proper digestion. Women especially have a lot pelvic pain and are know to hide emotions in the abdomen. Regular abdominal massage may relieve PMS as well as many other pelvic pains from the uterus and ovaries. When is the last time you felt like you could not breath? When abdominal massage is done the therapist will release the diaphragm muscle creating space and allowing more space to move into the lungs allowing clients to breathe better. Chi Nei Tsang works to remove energy blockages, allowing the vital organs and naval justify to be detoxified and rejuvenated. This style of massage therapy can be done over a sheet or the therapist will professionally drape the client with a towel and sheet to directly address the abdomen. The therapist will work within the comfort zone of the client. Our clients get great results when the body can release trauma and bound up emotion the client has an overwhelming sense of release. Abdominal massage also stimulates your internal organs, including your gall bladder and liver. In addition to alleviated abdominal distress issues, stomach massage may also strengthen weak and relaxed abdominal muscles. Applied pressure with gentle circular motion can also release deep muscle spasms, promote internal heat and break down adhesions or scar tissue increasing the bodies metabolism to enhance weight loss. Digestive issues - Increases blood flow helping the body process normal functions. Fibromyalgia is a disorder characterized by widespread musculoskeletal pain accompanied by fatigue, sleep, memory and mood issues. The patient may feel a deep aching as well as joint stiffness and muscle weakness. 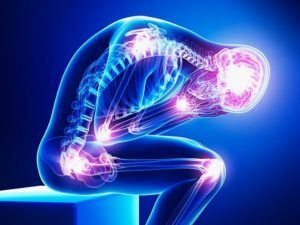 Researchers believe that fibromyalgia amplifies painful sensations by affecting the way your brain processes pain signals. Women are more likely to develop fibromyalgia than are men. Many people who have fibromyalgia also have tension headaches, temporomandibular joint (TMJ) disorders, IBS, burning, stabbing, throbbing pain, anxiety and depression. Many of these symptoms can be significantly reduced through regular massage. 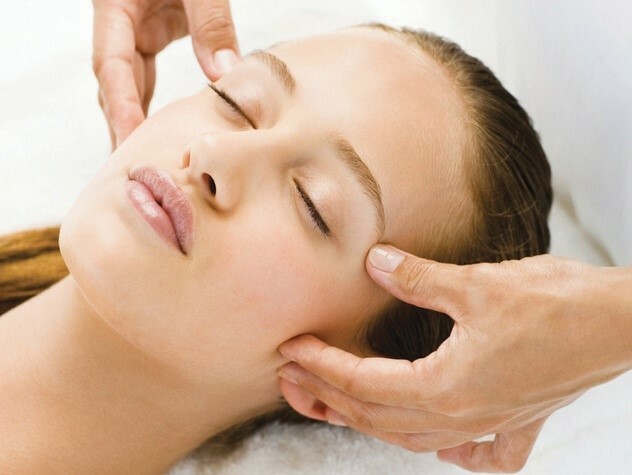 Relaxation to improve sleep – Massage helps the body relax. Improved muscle tonicity – Massage helps tired muscles and restores strength and energy. Improved mental clarity – a relaxing session can relieve mental stress and improves health awareness. 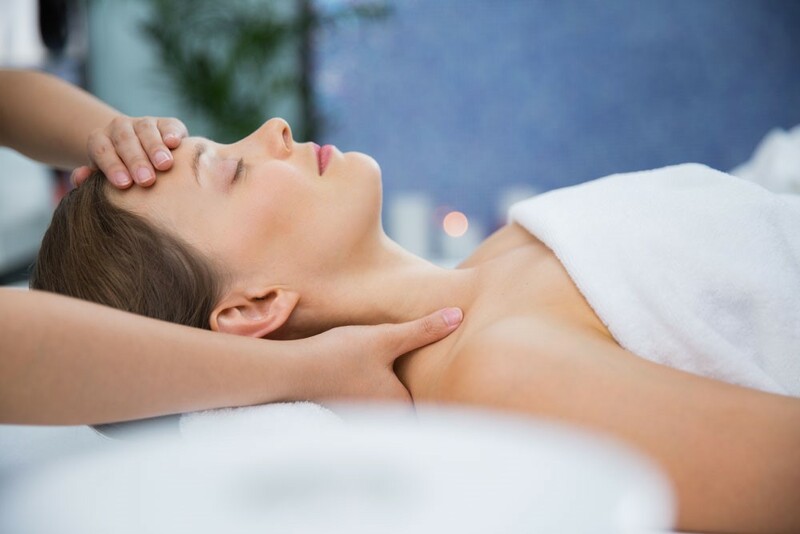 Relief from headache – Massage increases circulation thus, improves blood flow to the brain and helps to release tension. Diminished effects of anxiety /depression – when a person with fibromyalgia develops anxiety or depression, it will have an effect to the body which includes hormonal instabilities, interference with appetite and chronic fight-or-flight mode. Massage can help restore the body’s natural balance for fibromyalgia patients. Serotonin levels are increased so naturally the mind and body feel better. Increased Blood Flow: Due to the invigoration of blood and lymph circulation, massage facilitates tissue oxygenation, rendering it ideal to reduce stiffness and pain. A therapist may notice that an FMS client’s tender points are typically cold to the touch, indicating an inhibition of circulation. Massage may provide relief. Touch is important in human relationships and we value this concept greatly at Emerald Massage. We understand when you have fibromyalgia, touch can turn to something negative because your body hurts with the slightest contact. Our licensed, professional therapists specialize in working with Fibromyalgia patients and understand every one is different as well as hot spots can differ from day to day. At Emerald Wellness and Bodywork we help our clients relax into a positive healing touch. We will communicate the level of pressure the client needs and will be very delicate by using long flowing, soothing strokes. We always encourage our clients to consult with their doctor to answer questions they may have regarding massage. A trigger point is a tight area within muscle tissue that causes pain in other parts of the body. Trigger points are usually tender spots. Trigger Point pain is one of the more common ailments that affect the muscles in the human body. 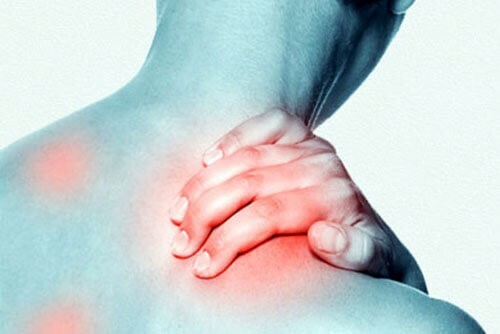 Most people have trigger points in their muscle tissue that can be annoying, but for a small number of people they are associated with a huge amount of persistent throbbing, burning, numbness, tingling or stabbing pain with extreme discomfort. Trigger points can be so debilitating as they don’t usually stay in one centralized location. We most commonly feel them in our shoulders, neck and back, but they can be experienced anywhere in the body. Trigger points decrease blood flow in the muscle setting the muscles up for pain and injuries. Trigger point massage therapy is specifically designed to alleviate the source of the pain through cycles of isolated pressure and release. In a trigger point massage therapy session, the client actively participates through deep breathing as well as identifying the exact location and intensity of the discomfort. Many times, a client can feel an instant sense a relief. It is very important to maintain your muscle tissue and work on trigger points regularly to prevent flare ups or injuries. This is a great video to visually explain a Trigger Point. When you push on a trigger point you “feel a knot” it is tender, can be sensitive to touch, as well as when pushing on it you feel a sense of pain radiate into other areas of your body. A trigger point in the back, for example, may produce referral pain in the neck. The neck, now acting as a satellite trigger point, may then cause pain in the head. The pain may be sharp and intense or a dull ache. It is very important to mention a trigger point can be inflamed and too much agitation of it can make it worse. Benefits of Trigger Point Massage Therapy. Releasing constricted areas in the muscles thus alleviating pain. You can experience a significant decrease in pain after just one treatment. Receiving massage with trigger point therapy on a regular basis can help naturally manage pain and stress from chronic injuries. Oxygen and nutrients begin to flow better in the muscle tissue. Range of motion is restored. What is Facilitated Stretch Therapy? What is a Facilitated Stretch Therapy Session like? The team member will analysis the muscles that are tight to determine what areas really need to be stretched. At Emerald Wellness and Bodywork we will customize the stretch session to exactly what is needed for the client depending on your activities, occupation, or individual needs. We will discuss prior injuries as well as area of the body with limited range of motion of the client is comfortable at all times. The client will wear comfortable workout clothes suited for stretching in. We can start the neck and move through the body ending with legs or we can do focused stretching on problematic areas holding stretches for a minimum of 30 seconds. The team member will coach the client on breathing and help them focus on releasing the muscle with the brain. The session length time can be 30min, 60min or 90 min. We also can add facilitated stretching on to any massage therapy session. Communication is essential in this session. Why should an Athlete get Facilitated Stretching? If you do yoga and you realize in a pose your range of motion is limited, we will facilitate the muscles in that pose to perform and release. Athletes really love a facilitated stretching session especially bodybuilders, crossfit athletes, and weight trainers. Opening up the muscle belly really help to enhance range of motions, imagine getting deeper into your lift. What kind of gains could you achieve. If you are too bound up the muscle is inhibited to grow. If you do not stretch and you are overly tight you can set yourself for injury. When receiving a salt glow treatment at Emerald Wellness and Bodywork, the massage therapist applies a pure Himalayan Lychee Pink Crystal salt scrub lightly into the skin (largest organ). The small granules provide gentle exfoliation making way for fresh skin cells and natural radiance. The Himalayan salt is mixed with lychee fruit essential oil, sweet almond oil, grapeseed oil, jojoba oil, vitamin E, and aloe vera leaf juice which hydrates and nourishes your skin giving it a youthful glow. The salt glow is done before the massage as it can be stimulating. The hands and feet are wrapped in hot towels creating heat and hydration allowing the organic minerals to penetrate into the skin which will allow the body to rest, repair and relax. After the salt glow, your will leave with your skin feeling very soft, revived, and fragrant. Your body and mind will be refreshed as well. Adding the Himalayan Hot Stones to the session can enhance the benefits all well as bringing the body into deeper relaxation. Himalayan salt is known for its maximum nutrient profile including calcium, magnesium, potassium, copper & iron. Promote your bodies natural PH balance for general wellness. Exfoliation is the removal of the dead, keratinized skin cells sitting on the skin's surface giving skin a dull look. Exfoliation leaves the skin smoother and fresher looking. Using a salt scrub or body scrubs is known to increase circulation and assist in the rejuvenation of your cells. Ease tension out of the body. 43 Muscle In Your Face - They need massage too! Facial cupping is a natural cosmetic therapy designed to improve the appearance of facial skin and reduce signs of aging such as wrinkles, dark circles and puffiness around the eyes, facial scarring, sagging skin and double chins. Unlike other forms of cupping, there are never any treatment marks on the skin. Symptoms of rosacea and acne can be minimized as well at facial cupping can help alleviate headaches and earaches from intense tight face muscles (43) . A client told us facial cupping was the best relief she has ever had and she was very surprised by her results. She suffered from TMJ. She manifested her stress in her sleep by clenching her jaw. Cupping on her face helped relieve her tension and stopped her migraines. Clients suffering from sinus problems, allergies and facial paralysis resulting from Bell’s Palsy, Parkinsons’ disease, or a stroke have also reported improvement. Facial cupping can help to provide relief in conditions where there is stiffness of the Temporal Mandibular Joints or the joints that help in the movement of the jaw for speaking, chewing or facial expressions. We have our dental partners refer their patients to us for this specific focused facial treatment. We also do intra-oral massage therapy as well. Imagine flushing the fact with fresh blood and nutrients. This serves to repair and nurture the skin giving it a more glowing and youthful appearance. The skin is more supple and collagen formation is improved. Skin impurities are moved to the lymphatic system and later expelled from the body by the suction of the mini cups. Any lines and scars on the face are also plumped up, reducing appearance. What is Basalt Hot Stone Massage? At Emerald Wellness and Bodywork, we described this treat as a little taste of heaven floating on a cloud in ultimate bliss. Basalt stones (volcanic rock) are smooth and flat. Hot stone massage employs a variety of strokes and modalities using the stones and hands, working over knots and tension in your muscles. You are unlikely to feel the pressures, since your muscles will be relaxed by the heat of the stones. The heat of the flowing stone allows the therapist to get deeper into the muscles without more pressure, helping their client to relax yet further. If you do not prefer deep pressure yet you need deeper layers of muscle tissue releases this is the perfect massage for you. Hot stone massage combines relaxing warmth and refreshing coolness to encourage the body to detox and heal. This also increases lymph flow and helps to flush out waste. Heat relaxes your body in a short space of time, so your therapist can focus on a deep working of the tissues using both hot stones and hand strokes. Hot stones also increase your sense of relaxation and calm. This can be enhanced by adding Aromatherapy to your session. The heat sensation feels amazing all over your body. Hot stone massage will activate a deeply relaxed, meditative state. It is very important to hydrate before and after each massage session. WHAT TO EXPECT FROM A HOT STONE MASSAGE? Hot stone massage begins with gliding warm, oiled stones down your back and around your body. Many therapists will use them on acupressure points depending on the client needs. This is where the stone may be placed on the body for grounding. Many of our clients say they lose all track of time when getting a hot stone massage. Your therapist may alternate between hot basalt stones and much colder stones depending on your treatment. As your body sinks further into a state of relaxation, you may even stop noticing the changes in temperature from hot to cold stone. The therapist will communicate with you throughout the session to ensure the right temperature of the stone. Don't be afraid to tell your therapist if the stones are too warm for you. You'll relax much more quickly and start enjoying that insatiable feeling of total well-being if you're comfortable. As with any heat therapy, we encourage our clients to discuss with their doctors if they think they may have contraindications. Always inform your therapist about any medical conditions you have. They will take your medical history into account when choosing the right stones and techniques for your body. For similar reasons, tell your therapist if you are, or think you might be, pregnant. Why the Cold Stone Therapy? At the end of your session or during your session, you will get complementary cold stones that can be used on the face or on the muscles after the hot stones have been applied. Cold temperature helps to calm swollen blood vessels and soothe the skin. The hot and cold sensation is very healthy for the body. If you’re looking for the type of massage that has you feeling weightless, both physically and emotionally this is the massage for you. Swedish massage will revitalize the mind, body, and soul. This is due to the fact that dopamine and serotonin, the happiness hormones, are set free through the tissues of the body, which result in an overall feeling of satisfaction and greater well-being. Swedish massage focuses on muscle relaxation, targeting superficial muscles (rather than the connective tissues targeted in deep-tissue massage) and increasing blood circulation. The “ahhhh moment” comes when the hot towel is placed on your back and you take that first deep breath, feeling the warmth of the heated table and hearing the soft music in the background. For added relaxation add aromatherapy or hot stones. The therapist will use long flowing, gliding strokes with some kneading and or tapping. Swedish massage is the most common style of massage. These movements warm up the muscle tissue, releasing tension and gradually breaking up muscle "knots" or adhered tissues, called adhesions. Swedish massage promotes ultimate relaxation. We suggest you call a taxi instead of driving home as you will be in such a state of bliss. HOW OFTEN DO YOU STRESS? During the daily stresses of our lives, our bodies respond by manufacturing a lot of stress hormones, which wreak havoc on our body and mind. Our culture is set up to stress us driving, noises, lights, technology not to mention your other life stresses. You need to desensitize with a Swedish massage. Yes you will loose your sense of being on the planet. We highly suggest the longer session as this will allow the therapist more time to focus on your problem areas and still do a full body as you desire. Physical aches and conditions such as digestive problems, inflammation, and loss of sleep start to occur when the body is stressed. Any predisposed disease in your body is manifested when you to not get the stress hormones out of your body. The goal of the Swedish massage is to significantly decrease the amount of stress hormone pooled up in the body, which leaves you with a relaxed, healed body and a clear mind that lasts long after the massage has finished. Stress is the #1 KILLER of people! Massage is an easy way to maintain proper cortisol levels in your body. Swedish massage is designed be therapeutic as it slowly brings blood back to the core from the extremities without increasing the heart’s workload.